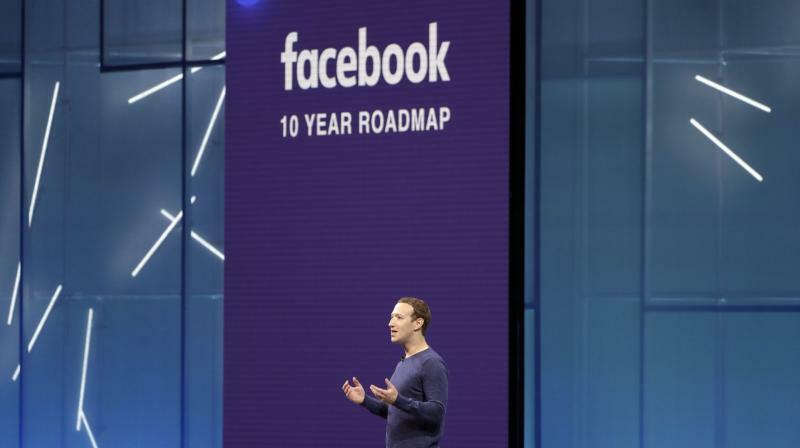 CEO Mark Zuckerberg called 2019 “another year of significant investment” during the earnings call. When it comes to dealing with hate speech and attempted election manipulation, Facebook just can’t win. If it takes a hands-off attitude, it takes the blame for undermining democracy and letting civil society unravel. If it makes the investment necessary to take the problems seriously, it spooks its growth-hungry investors. That dynamic was on display in Facebook’s earnings report, when the social network reported a slight revenue miss but stronger than expected profit for the July-September period. Shares were volatile in after-hours trading — dropping the most, briefly, when executives discussed a decline in expected revenue growth and increasing expenses during the conference call. “Overall, given all the challenges Facebook has faced this year, this is a decent earnings report,” said eMarketer analyst Debra Aho Williamson. Facebook had 2.27 billion monthly users at the end of the quarter, below the 2.29 billion analysts were expecting. Facebook says it changed the way it calculates users, which reduced the total slightly. The company’s user base was still up 10 per cent from 2.07 billion monthly users a year ago. The company earned $5.14 billion, or $1.76 per share, up 9 per cent from $4.71 billion, or $1.59 per share, a year earlier. Revenue was $13.73 billion, an increase of 33 per cent, for the July-September period. Analysts had expected earnings of $1.46 per share on revenue of $13.77 billion, according to FactSet. CEO Mark Zuckerberg called 2019 “another year of significant investment” during the earnings call. After that, he said, “I know that we need to make sure our costs and revenue are better matched over time.” The company had already warned last quarter that its revenue growth will slow down significantly for at least the rest of this year and that expenses will continue to balloon as it spends on security, hiring more content moderators around the world and on developing its products, be they messaging apps, video or virtual reality headsets. The following day the stock plunged 19 per cent. Shares not only haven’t recovered, but they’ve also since fallen further amid a broader decline in tech stocks. Facebook’s investors, users, employees and executives have been grappling not just with questions over how much money the company makes and how many people use it, but its effects on users’ mental health and worries over what it’s doing to political discourse and elections around the world. Is Facebook killing us? Is it killing democracy? Then there’s hate speech, hacks and a massive privacy scandal in which Facebook exposed the data of up to 87 million users to a data mining firm, along with resulting moves toward government regulation of social media. Amid all this, there have been sophisticated attempts from Russia and Iran to interfere with elections and stir up political discord in the US. A recent Pew Research Center survey found that more than a quarter of US Facebook users has deleted the app from their phones and 42 per cent has taken a break for at least a few weeks. Younger users were much more likely to delete the app than their older counterparts. Nonetheless, Facebook is still enjoying healthy user growth outside the US Facebook’s stock climbed $4.07, or 2.8 per cent, to $150.29 in after-hours trading. The stock had closed at $146.22, down 17 per cent year-to-date.